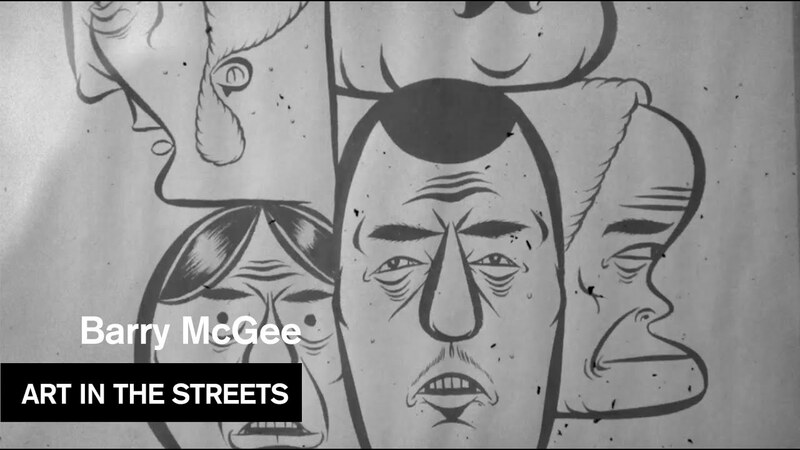 BARRY MCGEE COMES FROM A BACKGROUND OF CREATING UNSANCTIONED WORK ON CITY STREETS. OVER THE YEARS, HIS SIGNATURE TAGS AND MARKINGS HAVE INSERTED ELEMENTS OF THE INDIVIDUAL AND THE HANDMADE INTO A DEPERSONALIZED URBAN LANDSCAPE THAT IS INCREASINGLY CROWDED WITH CORPORATE LOGOS, TRADEMARKS AND ADVERTISEMENTS. 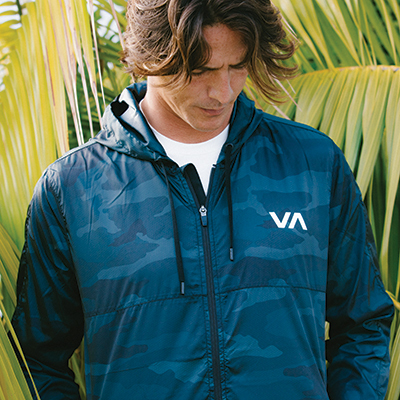 WORKING OUTDOORS AND IN PUBLIC SPACES NECESSITATES CERTAIN ANONYMITY FOR HIM AND NEEDS TO BE PERFORMED QUICKLY AND STEALTHILY IN AREAS THAT COMMAND MAXIMUM EXPOSURE. 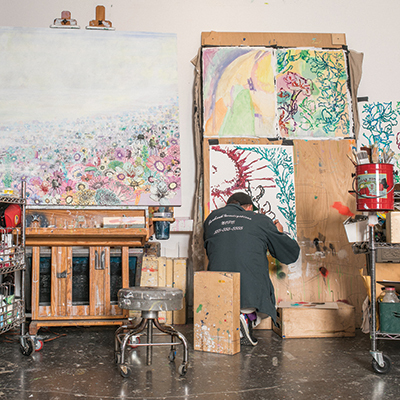 WHEN THIS ARTIST TURNS HIS AMBITION LOOSE INSIDE THE MUSEUM, HOWEVER, HIS ARTISTIC INTENTIONS CHANGE SIGNIFICANTLY WITH THE CONTEXT. IN MOST INSTANCES, WORK COMMISSIONED FOR MUSEUM WALLS IS NO LONGER ABOUT PULLING OFF ELABORATE STUNTS AND FEATS, SEEING HOW PRECARIOUS AND HIGH A WALL OR FENCE HE HAS CLIMBED, HOW SECURE AN AREA HE HAS PENETRATED, UNNOTICED, IN BROAD DAYLIGHT, UNDER SECURITY SURVEILLANCE. RATHER, ITS MAIN CONCERN IS BREAKING DOWN THE CONCEPT OF THE MUSEUM AS AN ELITIST FORTRESS, TURNING IT INSIDE OUT TO WELCOME THE GRITTY VITALITY AND ENERGETIC PACE OF THE CITY STREETS INTO ITS HUSHED GALLERY ENVIRONMENT. ANP ARTIST AND FILMMAKER ALEX KOPPS SPENDS TIME WITH BARRY MCGEE, CAPTURING A NOT SO TYPICAL "DAY IN THE LIFE" FOR BARRY. THE SHORT WAS FILMED IN AUGUST WHILE BARRY WAS PREPARING FOR HIS MID CAREER RETROSPECTIVE AT BERKELEYS BMA/PFA. VIDEO COURTESY OF MOCATV.